The thrill of consistently creating business value for clients keeps us motivated every day. Add to this, a perfect blend of a compassionate work environment, intelligent colleagues, and global ethos – you have Nagarro’s secret sauce for success. Ashish is jointly responsible for the Digital Global Business Unit in Nagarro. His experience spans across management consulting, digital, analytics services and system implementation for a wide array of clients including several Fortune 500 companies. With his cross-domain knowledge in enabling outcome-driven analytics solutions, Ashish has helped clients transform their customer experience and business processes. Before joining Nagarro, he was associated with organizations like Cognizant and American Express. 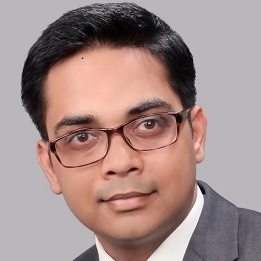 Ashish holds a master’s degree in business management from Management Development Institute (India) and ESCP-EAP European School of Business (Paris, France). He is a Bachelors in Technology from IIT (BHU), India. a) Does your data center need an analytics powered reboot?